Born in Houston, Joe Incrapera studied art techniques in Barcelona, Spain for four years and drawing in Florence, Italy for one year. In these art-rich European cities, Incrapera learned techniques of sculpting in marble and alabaster. He later spent thirteen months in India where he studied the ancient art of sandstone sculpting as well as Eastern philosophies. 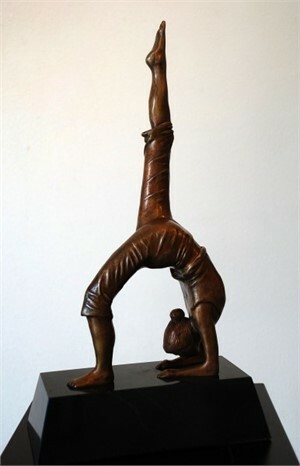 In the 1980's Incrapera's bronze "Flight" was chosen to be exhibited in Jones Hall in Houston for a world premier ballet. Five of Joes' bronzes we chosen to be shown at the Museum of Arts and Sciences in Daytona Beach, Florida. His surrealistic bronze "Thought" was selected to show in an All Media Art Competition in Houston. In 1991, Joe was commissioned to sculpt a life-size bronze of Christopher Columbus for the Federation of Italian Americans to commemorate the 500th anniversary of Columbus' voyage to the Americas. This life-size statue stands in Bell Park, Houston, Texas. He has done many other commissions for private collectors. Incrapera's works are in more than 60 corporate and private collections. Articles about Joe and his work have appeared in the Houston Post, Art Voices South, The Daytona Beach Times, International Fine Art Collector, The Galveston Daily News and the Houston Chronicle. Joe is featured in Italian Experience in Texas by Valentine J. Belfiglio. Incrapera's style encompasses surrealism to contemporary bronzes. Biography: Born in Houston, Joe Incrapera studied art techniques in Barcelona, Spain for four years and drawing in Florence, Italy for one year. In these art-rich European cities, Incrapera learned techniques of sculpting in marble and alabaster. He later spent thirteen months in India where he studied the ancient art of sandstone sculpting as well as Eastern philosophies. 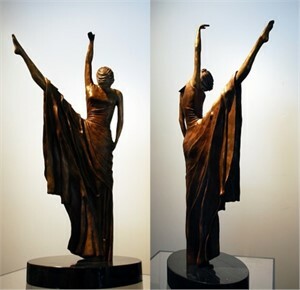 In the 1980's Incrapera's bronze "Flight" was chosen to be exhibited in Jones Hall in Houston for a world premier ballet. Five of Joes' bronzes we chosen to be shown at the Museum of Arts and Sciences in Daytona Beach, Florida. His surrealistic bronze "Thought" was selected to show in an All Media Art Competition in Houston. In 1991, Joe was commissioned to sculpt a life-size bronze of Christopher Columbus for the Federation of Italian Americans to commemorate the 500th anniversary of Columbus' voyage to the Americas. This life-size statue stands in Bell Park, Houston, Texas. He has done many other commissions for private collectors. Incrapera's works are in more than 60 corporate and private collections. Articles about Joe and his work have appeared in the Houston Post, Art Voices South, The Daytona Beach Times, International Fine Art Collector, The Galveston Daily News and the Houston Chronicle. Joe is featured in Italian Experience in Texas by Valentine J. Belfiglio. 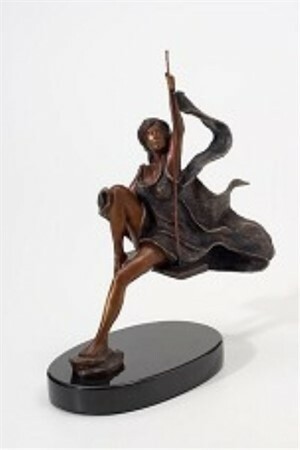 Incrapera's style encompasses surrealism to contemporary bronzes.